A lot of the cool licks that are used in solos are played on just 2 strings. Usually on the high E and B string. Although they are most common in shredding, you can find them in all genres of music. The best way to learn these licks fast, clear and fluently is to practice them with alternate picking and the use of a metronome. Alternate picking means you hold the pick between your thumb and index finger with the pointed end facing toward the strings. You strictly use alternating down and up strokes. The first note you play is downstroke, the second an upstroke, the third one a downstroke, the fourth one an upstroke and so on. Start out slowly and gradually increase speed. 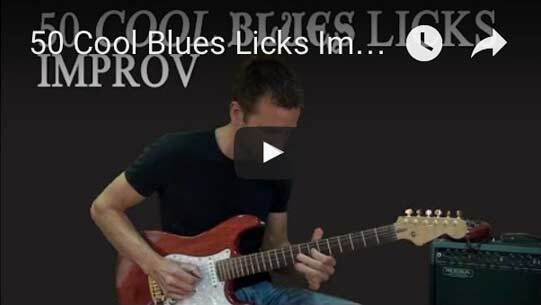 Use the licks as a warm up exercise in your daily practice workout. Beside the metronome you can also learn to play the licks along with a backing track. As you do this make sure you focus on correct tempo and timing. Notes:-All of the exercises below are licks, except for exercise 20 and 21. -Repetitive licks are shown by the 2 dots next to the bar line. Repeat what ever is written between those two dots. Repetitive licks are repeated at least 2 times or more. These 22 exercises will really improve your alternate picking speed if you follow the instructions I just mentioned. You’ll have some nice chops to work with. If you liked this post please share it on Stumbleupon. I appreciate it. 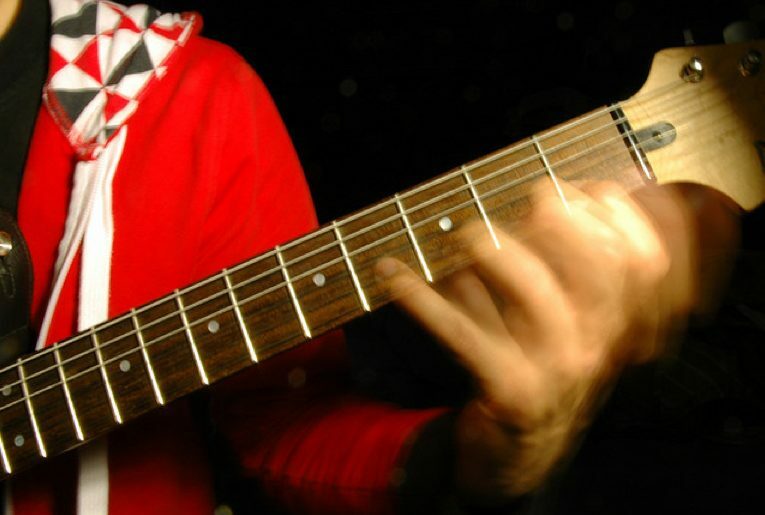 21 Cool 3 Notes-Per-String Exercises to Rock On! 10 Smoking 2 Notes-Per-String Licks to Rock On! This is really good info and excellent skill development material. grateful to you for sharing information like this with us. Thanks for the comment and practice well! I, too, am grateful for this information Klaus. I have been searching for something identical to this for a couple months. Thank you. I hope it’s been worth the search. Just google “How to read tabs” and you’ll get tons of advice and great tips. You’re awesome. That you have such a interest and want to educate people on playing this tasty instrument properly and in a “happy for the ears manner” is just great to see, and like many others that come across your site, I appreciate it to the MAX! Hi Klaus,man this stuff is excellent.Ive been practicing these 2 string exercises for two days ,and already i am seeing an improvement.Thank you so much . This is exactly what i needed,you are the man !! Hi Klaus, i was just wondering, these are all to played as 16th notes right? Hi Alan, Yes they are. These exercises are great, cover all the different situations encountered when atlernate picking, and sound amazing when played up to speed! Good work here. I’ll be passing this along to others. Thanks and enjoy the speed picking exercises! Hi guys!) Really interesting software. I have a question. I didnt understand those dots, small one near bars. How can i use it up? I guess I do not know enough about reading music. I do not understand what is meant by the notation “play in the key of g”. can you tell me where I can find instruction on this. Cool lessons. Glad I found this!